They’re one big happy family… right? Meet Nick, short for Nicole, and she is about to shake things up within a family who she thinks has wronged her. In Netflix’s much-anticipated, brand new series, No Good Nick, a family finds themselves welcoming in a new member when Nick, played by Siena Agudong, shows up at their doorstep claiming to be a distant relative. Little does this family know that Nick sure doesn’t have plans to get cozy and cuddly with her new fam, in fact, she’s there to do the exact opposite. Nick is certainly up to no good and is ready to con this family – but the real question is, will she be able to follow through with it? When we found out that Netflix picked up this awesome series, we couldn’t contain our excitement. Not only does this show have a thrilling storyline, but it also has a stupendous cast to bring it to life. Also starring in the series is Melissa Joan Hart, Sean Astin, Kalama Epstein and Lauren Lindsey Donzis. The cast-members are so sensational and we couldn’t think of a better cast to work on this exceptional show. We know that No Good Nick will blow us all away and we will be absolutely hooked on it. If you’re looking for us on April 15th, you can find us binge-watching No Good Nick – aka, what will be our new favorite show… ever! I, Alexisjoyvipaccess had the honor of covering the 2019 Nickelodeon Kids’ Choice Awards and had a terrific time interviewing the cast of No Good Nick at the event. 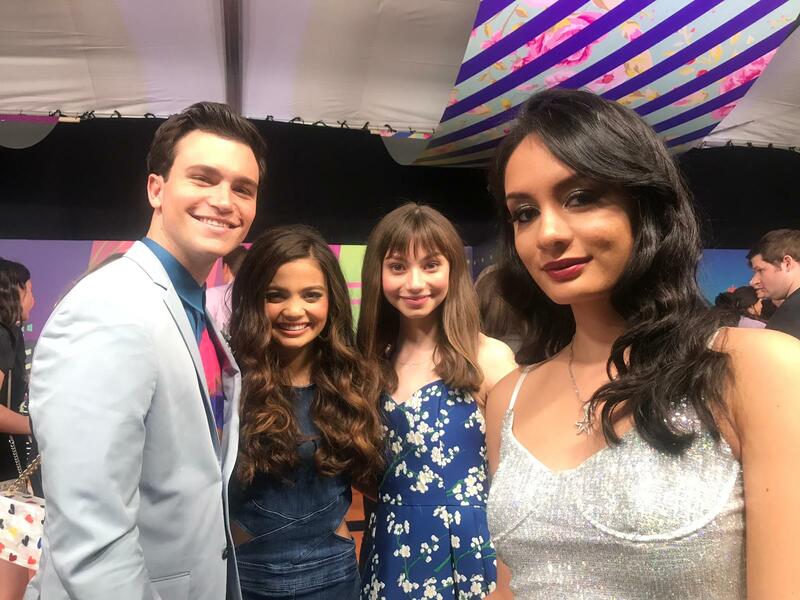 Siena Agudong, Lauren Lindsey Donzis and Kalama Epstein dished exclusively to Alexisjoyvipaccess all about what it was like for them being at the KCAs, what it was like for them working on No Good Nick and so much more only in our VIPAccessEXCLUSIVE interview. The No Good Nick cast even spilled on a moment that sticks out to them the most from working on the show – hear what they had to say in our VIPAccessEXCLUSIVE interview below. Check out my VIPAccessEXCLUSIVE interview with the cast of No Good Nick at the 2019 Nickelodeon Kids’ Choice Awards below! Previous VIPAccessEXCLUSIVE: Brent Rivera Interview With Alexisjoyvipaccess At The 2019 Nickelodeon Kids’ Choice Awards! Next VIPAccessEXCLUSIVE: Alan Bersten Interview With Alexisjoyvipaccess At The 2019 Nickelodeon Kids’ Choice Awards!